Hosting a baby shower soon? 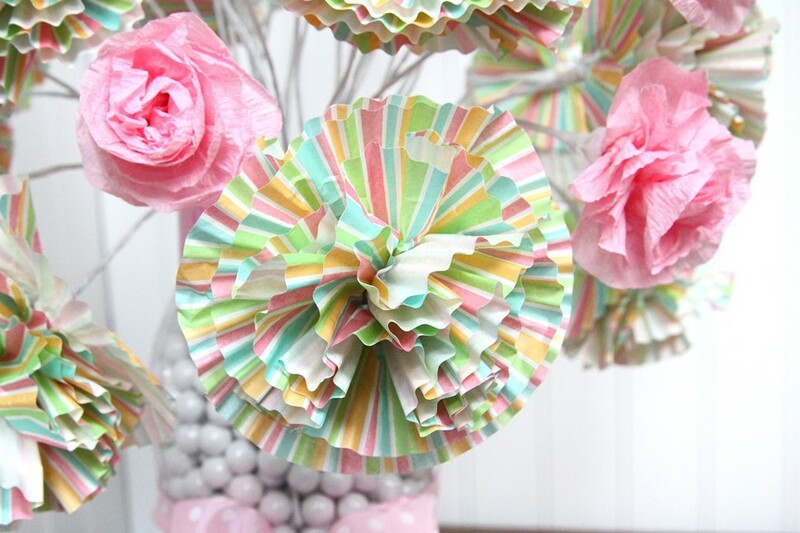 We’ve got a sweet and pretty DIY Flower Centerpiece project to make using cupcake liners and crepe paper streamers. Yep. That’s right. Cupcake liners and streamers. 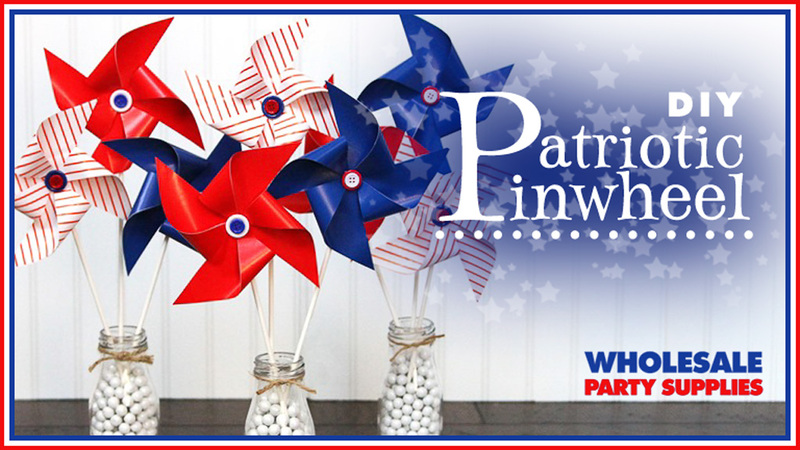 Transforming everyday party items into unique creations is one of our favorite things to do here at WPS. So let’s get started. 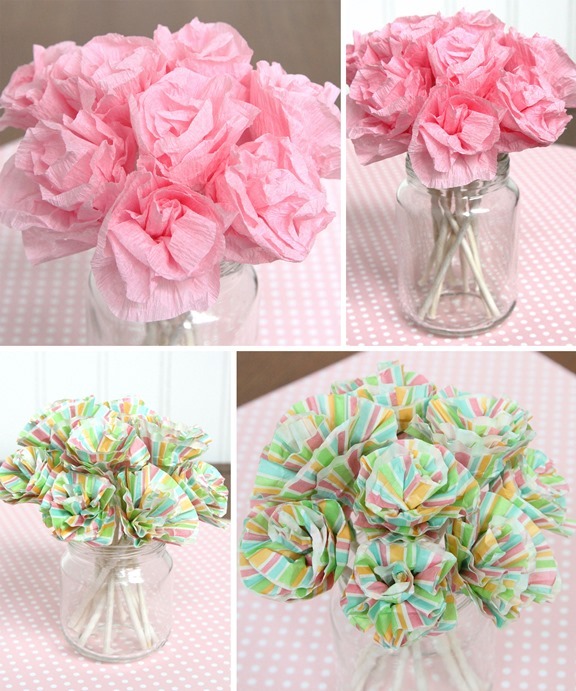 For the cupcake liner carnations, any liner will do. Even those with plain middles are useable because once the flower is formed, the centers are not seen. We used a 20 gauge floral wire for the stems; stiff yet still flexible. 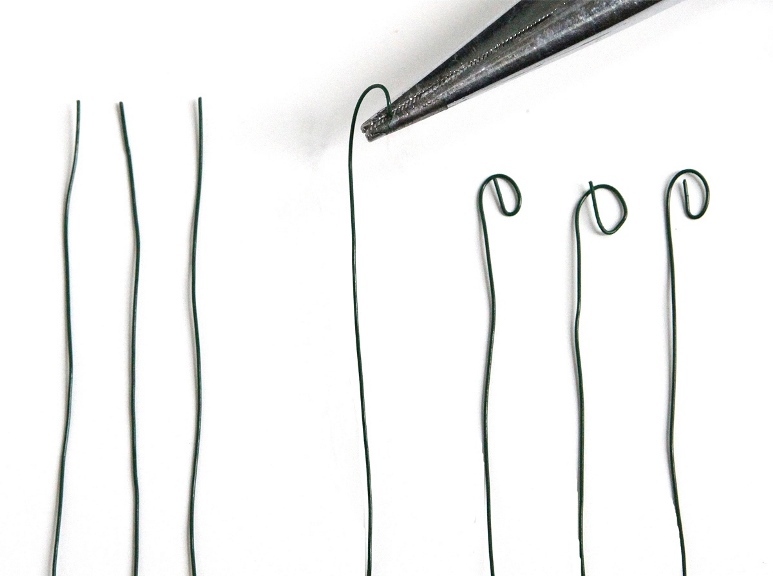 Wrap one end of the wire around pliers to from a loose loop. The loop helps to prevent the liners from slipping off the stem. TIP: Bend the loop perpendicular to the wire length for added slippage prevention. Thread liners onto wire. Use between 6 and 8 liners per flower. More liners = fuller flowers. Try alternating the design orientation for a more varied look to the bouquet. Scrunch and crunch liners to form flower shape. Use hot glue to stabilize and hold layers together. Wrap stem with floral wire to complete. TIP: Use white floral tape to keep centerpiece from looking too dark and heavy. The crepe paper roses are made using a different process than the cupcake liner carnations but they are still just as simple to “grow”. Cut streamers into 18” lengths then scallop one long edge. The scallops ensure a more realistic petal formation. Hot glue one short end of the streamer to the bamboo skewer then begin winding streamer onto skewer. 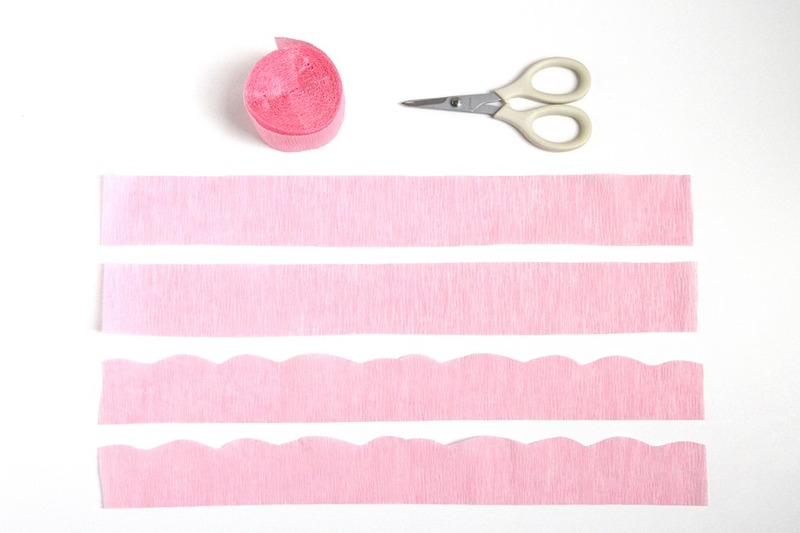 As you wind, fold and scrunch streamer, using a thin line of glue along bottom edge to hold everything in place. Once winding is complete, pull “petals” apart to shape flower. Wrap stem with floral tape. 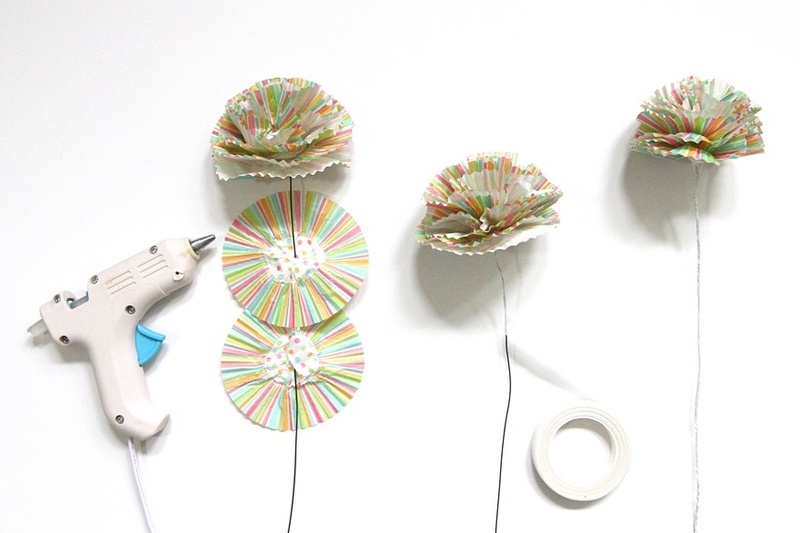 Create cupcake liner roses using the same method. To make liner strips simply cut through border design on one side and remove center. Scallop if desired but really it’s not necessary if the liner already has a pinked edge. 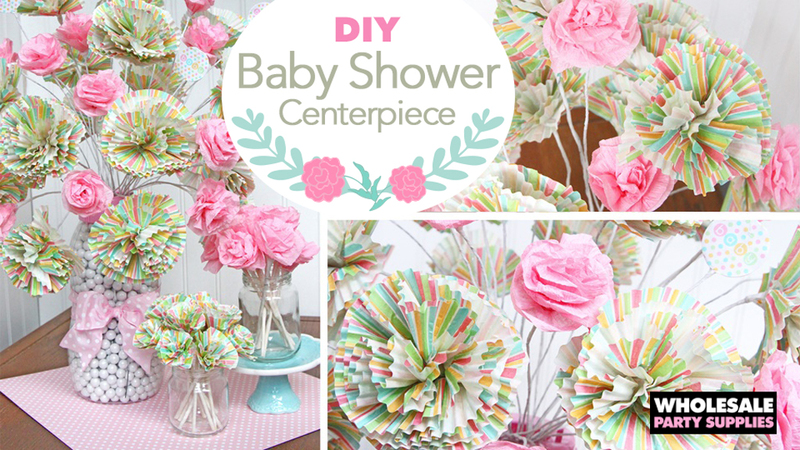 Arrange these skewer roses in baby food jar vases to highlight the baby theme. 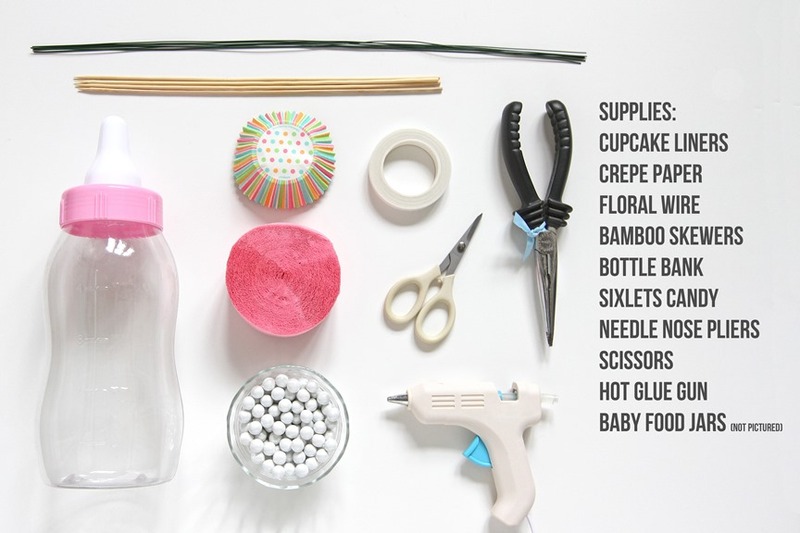 Add Sixlet Candies to the Baby Bottle Bank before arranging flower stems. 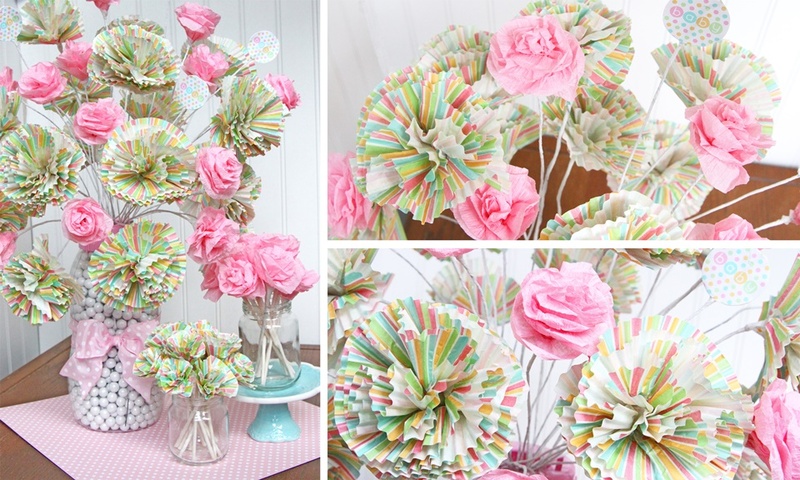 The candies are a pretty alternative to floral foam (especially important given the see-thru-ness of the bank).Fill in any bouquet gaps with crepe paper roses made with wire stems instead of skewers. The best part about these flowers is that they can be adapted to fit any color scheme or theme. 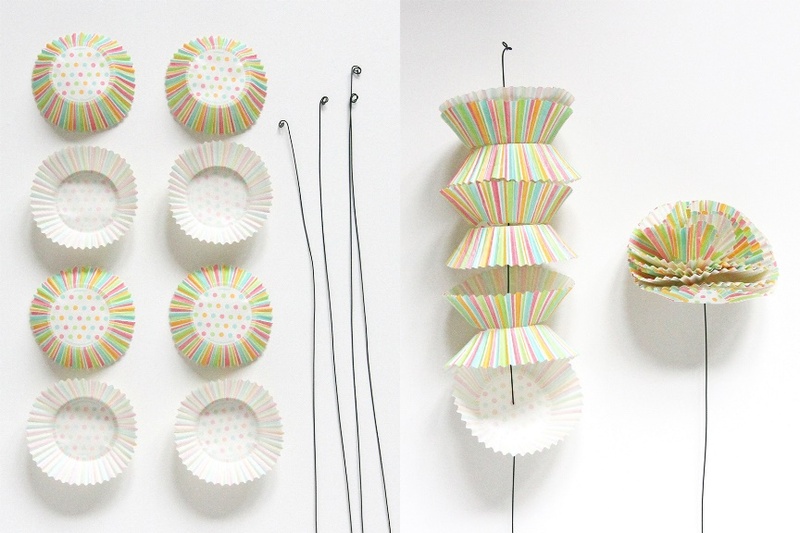 Got lots of leftover random cupcake liners and partially used streamer rolls lying around? Use them all together for a fresh and funky eclectic bouquet. Any way they are fashioned, these DIY flowers will be a delightful addition to any party décor and will remain in full bloom long after the festivities end. So share your everlasting arrangements with us on Facebook, Twitter, and Instagram! Head over to our shop at WholesalePartySupplies.com for all of your baby shower party supplies.